Daniel Lopatin set himself up centrestage, directly in front of the visuals of Nate Boyce at the final New Forms showcase in the Omnimax Theatre. The set played out in trusted Oneohtrix Point Never fashion, reciting passages from his 2013 full length, R Plus Seven, featuring plenty of ethereal synth-driven melodies and oblique rhythms refreshed with a heavy dose of external fx. It was a stimulating onslaught of arpeggios and frenzied frequencies that fought for their moment in the limelight. On screen, the interpretive shape-shifting objects of Nate Boyce opted to challenge rather than fulfill a specific narrative. Ideas felt intentionally confounding as random objects would appear on screen and float boundlessly under the pulse of a steady strobe. The joint performance inspired more questions than answers, and perhaps that was the point. 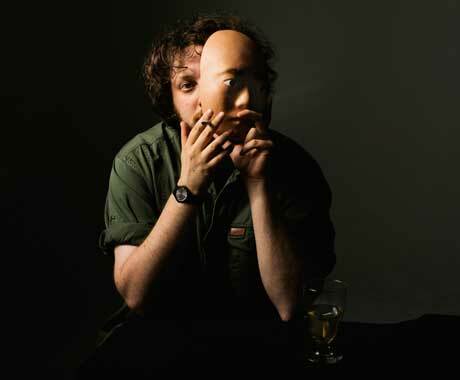 Lopatin moves through ideas quickly, never conforming to a more accessible framework or satisfying a groove, leaving you only to bask in the moment while it's there.